Think about the last time you were traveling. To find your hotel, call a cab, meet up with your associates, check your schedule and stay on top of emails, you needed one thing – a device and a full charge. The constant need to stay connected has changed our expectations and subsequently changed the hospitality industry. An owner or property manager has greater profitability when guests are enjoying their day, passing time in common spaces. In bar and restaurant areas, the mobile device craze is real. People carry upwards of four mobile devices at a time in some cases. This creates a perfect storm for mobile charging opportunities. Device charging comes into play when people are in a public space for as short as an hour. Mobile charging is one of the most effective ways to enhance guest experience. And, best of all, charging options exist that are low cost and high impact. Hotels, casinos and shopping centers have many different spaces that require charging. Guests want to pull up email confirmations in the lobby. They check emails while sitting at a restaurant. They work on laptops in a business center or outdoor area. With a constant need to stay charged, people often feel anxiety when their phone has a low battery. Having an easily accessible way to charge means that guests can put low-battery anxiety to rest while enjoying time with colleagues and friends. Think about the last time you checked into a hotel room. You walked in and flipped the lights on. Research suggests that you probably sat down on the bed, turned on the TV, and looked for a place to charge your phone. Within two minutes of being in your suite, you needed an outlet. A study from Red Roof Inn found that the most popular hotel amenity is electrical outlets. Within a hotel room, charging is critical. For professional guests traveling for work, a hotel suite serves as a home base. A traveler may need to charge a laptop, tablet, phone and smart watch simultaneously. Charging isn’t just a convenience, it becomes a necessity. When remodeling a hotel, guest experience research ranked accessibility to outlets for charging devices as the number one concern. Realistically, you can only have so many wall boxes in a room. There are a certain number of wall boxes that can be allowed depending on electrical codes. Contractors are finding that an easy solution is a combination USB receptacle. Using the existing receptacle, guests can now charge two additional devices. The outlet itself is more useful and functional. In the grand scheme of enhancing guest experience, progressive hotels have found outlets as a low-cost, high-reward option. Swapping out a USB receptacle in every room is a relatively inexpensive upgrade, but one that guests will notice within minutes of entering their room. The foundation of low-battery anxiety is that people need a charge to stay productive. Locations may differ, but sports arenas, shopping centers, casinos, residential complexes, gyms, amusement parks, and restaurants are all faced with the same proposition. People need to stay constantly connected and giving them that connection increases the likelihood that they’ll stick around. Venues will continue to evolve. New charging configurations are being actively developed and use case applications will continue to multiply. However, the same foundation of needing to charge on the go won’t change. The good news? Adding value to your installation without soaking up a significant cost addition can be as easy as switching out outlets. 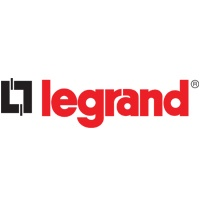 The opinions expressed in this piece are solely Legrand's. They do not necessarily represent WESCO’s views.